Its progressing rather slowly at the moment, I have been meaning to post some pictures - will get them posted later today. 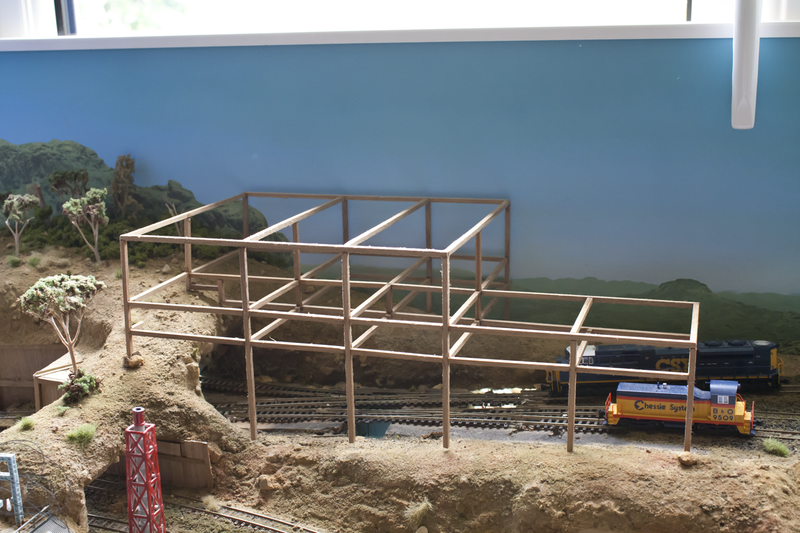 I have been having difficulty trying to avoid having huge gaps around the edge of the wall panels, and making flooring which looks good from above and below. As for the overall design, it has remained mostly the same, though the building on the left hand side will only have the front half of the lower floor build to be seen inside, the rest of it will be hidden behind a wooden wall with a couple of closed doors in it. It's times like this you realised how small and fragile N-Scale is!